When Dove was just seven years old, he would steal his parent’s canned coffee when they weren’t home, and save all his pocket money to buy his own supply after school. Dove completed an economics degree at university but after he graduated he decided to explore his coffee curiosity further. 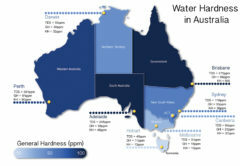 He spent time at the Retail Food Group training centre on the Gold Coast. The more he learned, the more he wanted to know. In his early barista days, Dove and his mates were focused on developing their latte art skills – tulips, rosettas, and swans. It was only when he relocated to New Zealand in 2002 that Dove was presented with a whole new outlook on coffee. He discovered Flight Coffee and Carl Sara’s Crafted Coffee, and like many baristas before him, experienced that ‘one’ special coffee that changed the course of his career. So he did. Inspired to share that same unearthing experience, Dove opened Grey Street Kitchen in Hamilton in 2013. He started serving customers a traditional-style blend with strong chocolate undertones, but it wasn’t exactly the experience he wanted to share. Instead, Dove switched his supply to specialty coffee in the hope locals would open their minds and palates. Some stayed, some veered away. 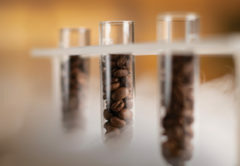 To satisfy both Dove’s and his customer’s needs, Supreme Coffee gave him the perfect solution: a customised single origin his customers would appreciate and a range of specialty coffees for espresso and filter. “In the beginning it was tough but now customers are more open-minded. We have university students come in and see Geisha on the menu, try it, and buy it. They don’t care about the price,” Dove says. After eight years into his coffee career, Dove went searching for something more to fuel his interest, and discovered barista competitions. It was only when he started training for the event that Dove realised how much more there was to learn. 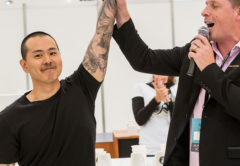 His first attempt at the New Zealand Barista title came in 2015 where he placed eighth. The next year, Dove put more time and effort into his routine and placed third – just two points behind first place. Dove was convinced that 2017 would be his year. He trained for five months leading into the nationals and surrounded himself with a support crew: coach Sam Low, roaster Scott Pepler, and WBC Judge David Huang. David and Sam lived in Auckland and would travel once a week to Hamilton for three hours in “crazy traffic” just to help Dove train. “For so many years I had watched these people compete on the world stage. They were my idols and suddenly they became part of my team. They gave me confidence,” Dove says. 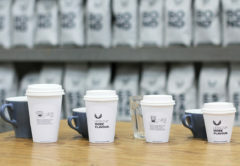 For his competition coffee, Dove was fortunate to try the New Zealand Brewers Cup Champion’s coffee, another ‘wow moment’ he describes as “delicious and balanced. I had to have it. I made a connection with the producer José Gallardo straight away. We did a deal via Instagram message and I got a sample within a week,” Dove recalls. With a limited supply, Dove had to tread carefully. He messed up his first four roast batches of the coffee. “The coffee was like a little kid that didn’t behave. It was very hard to control, but luckily the last four batches were bang on,” he says. As a result, Dove’s dream finally became a reality. He won the New Zealand Barista Championship with José’s natural-processed Panama Geisha from Finca Nuguo in Panama. “Winning the nationals is a career highlight made possible with a bit of luck and a lot of hard work,” Dove says. To prepare for the WBC in Seoul, Dove travelled to Panama to meet José and choose his competition coffee. It was his first time at origin. 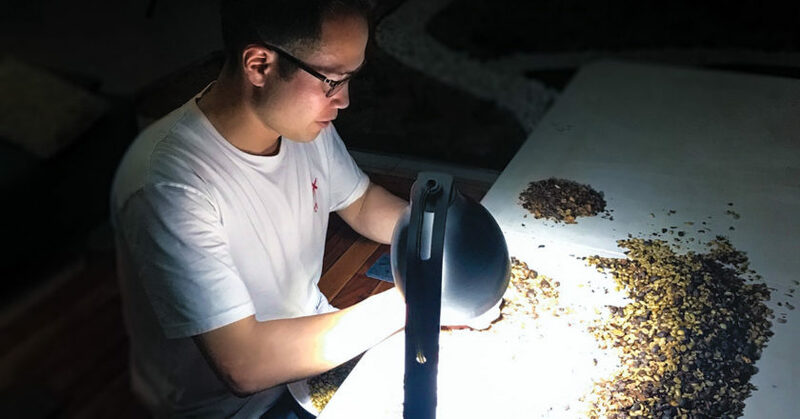 “I learned how Finca Nuguo’s microclimate and unique processing methods have a big impact on the taste profile of José’s coffee. He has five different lots, some grown with weeds and some areas are so spread out its a 10 minute drive away,” he says. Dove says José treats his coffees better than he treats himself and wife. His house has no air conditioner yet he has a controlled drying room outside his house to monitor the humidity of his coffees. On qualifying day of the 2017 WBC, Dove’s Panama Geisha from José’s farm tasted good. Better than good actually, “delicious”, he clarifies. What let him down, however, was finishing one minute over his 15-minute allocated routine time. Dove learned the hard way that competition is not just about great-tasting coffee, but mental preparation and confidence. As an added bonus, Dove also got to meet many of his coffee idols in Seoul, including Tim Wendelboe, Miki Suzuki, Sasa Sestic, Hugh Kelly, and Hidenori Izaki. “I couldn’t believe I was competing along with some of them. They are all coffee superstars in my eyes,” he says. Another superstar off the stage and behind the scenes is Chris Short from Cafetto, whom Dove first met at the New Zealand Barista Championships. Chris has been a long-time supporter of the New Zealand coffee scene. This year he was awarded an NZSCA Recognition Award and Friend of the Association for his ongoing contributions. “Chris is a great support to our coffee community. 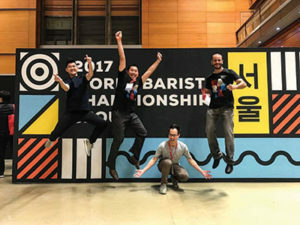 He attends our annual championships each year and on the global scale has run the Barista Base Camp, which I really enjoyed – it was the only place I could dial in my coffee before competing,” Dove says. Dove’s competition days are over for now. He hopes to take an active role mentoring the next generation of competition baristas who will take on the challenge he once did. For now, he’s got his hands full running his café and looking after his three kids aged seven and five years and eight months. 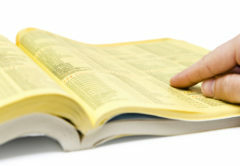 For more information about Cafetto, its support of industry members, and latest product range, visit www.cafetto.com.